Stephen Holgate is Medical Research Council Clinical Professor of Immunopharmacology at the Faculty of Medicine, Southampton, UK. After completing his medical training in London he spent 2 years at Harvard Medical School to acquire skills in allergic disease mechanisms. On returning to Southampton in 1980, he set up a research group focused on the mechanisms of asthma. He has utilized many approaches to study this disease including epidemiology, genetics, pathology, microbiology and immunology, pharmacology and experimental medicine. This research has informed guidelines on asthma management and has identified and validated novel therapeutic targets. Notable research contributions include the role of mast cells and their mediators in asthma and allied disorders, the regulation and pharmacology of mast cells, placing inflammation at the core of asthma pathophysiology, uncovering the role of respiratory viruses, allergens and pollutants in asthma exacerbation, the discovery of defects in innate immune responses in asthmatic airways, mechanisms of airway wall remodelling and the discovery of novel asthma susceptibility genes such as ADAM33. His current research focuses on stratified medicine, the role of the epithelium in orchestrating asthma and the evolution of asthma across the lifecourse. His work has resulted in over 980 peer reviewed publications (H index 133), 60 Book editorships, 453 Book Chapters and Reviews, 48 Editorials, 76 Official and Government Reports. He holds an MRC programme grant focused on the pathogenesis of asthma. 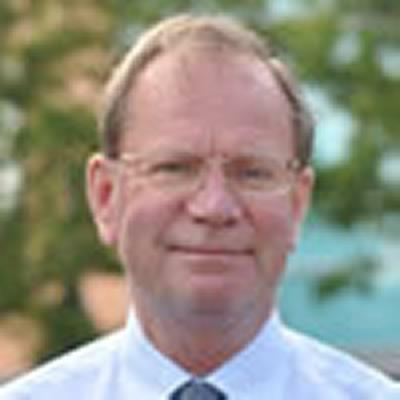 He is a Past President of the British Society of Allergy and Clinical Immunology and British Thoracic Society, was Chair of the MRC Population and Systems Medicine Board (PSMB). Stephen is Chair of Main Panel A (Medicine, Health and Life Sciences) of the UK Research Excellence Framework 2014, Chairs the UK National Centre for the Replacement, Refinement and Reduction of Animals in Research (NC3Rs), the British Lung Foundation Research Committee, the Hazardous Substances Advisory Committee (HSAC), and from 2014, will join the Science and Innovation Strategy Board of the Natural Environment Research Council (NERC). He is Chair of the European Respiratory Society Scientific Committee, Treasurer of the World Allergy Organization and Member of the Medical Science Committee of Science Europe. In 2003 he cofounded of Synairgen a publically quoted respiratory drug development company with a particular focus on lung antiviral defense in asthma, COPD and severe viral infections. The role of the epithelium in asthma. My research has focused on the causes of human asthma and its treatment. After establishing the key role that mast cells and other key effector cells play in triggering the acute allergic inflammatory response in asthma, I have focused my attention upon the mechanisms of disease chronicity and variability across the lifecourse. Using airway biopsies and primary cell cultures, we have established that asthma is primarily a disease of the lung epithelium that originates during fetal lung development. The disordered epithelium increases susceptibility to injury and altered repair after birth. This new concept was captured by describing sustained activation of the epithelial mesenchymal trophic unit (EMTU) in asthma. There is a dynamic communication between the epithelium and underlying mesenchyme that is established during the development of the fetal lung. We describe how varied activation of the EMTU connects the origins of asthma to its progression over time. This involves increased epithelial susceptibility to oxidant injury, impaired barrier function and reduced innate immunity. It also embraces altered mesenchymal susceptibility to promote airway remodelling such as the enhanced secretion of the metalloprotease enzyme, ADAM33, and a tendency for mesenchymal progenitor cells to adopt a contractile muscle-type phenotype. The link between the epithelium, inflammation and remodeling. A key question that has arisen from this work is whether the “set point” for a chronic wound response by the asthmatic epithelium upon environmental injury is fundamentally altered. We have now shown that gene transcription factors involved in the differentiation of airway and alveolar epithelium in fetal lung (e.g. TTF-1, spdef, Foxa2) are also involved in asthma where their differential expression strongly promoted a mucus-secreting phenotype as functionally confirmed in the airways of mice by conditional expression or deletion of the TTF-1 gene. Moreover, the reduced epithelial TTF-1 expression in asthma not only increased mucus secretion, but also the capacity of the airways to express allergic-type inflammatory and tissue remodelling profiles in response to allergen exposure. These experiments provide strong additional support for the view that, through the EMTU, the airway epithelium plays a crucial role in orchestrating multiple cellular events of asthma. While remodelling of the airways in asthma could occur secondary to chronic inflammation, anti-inflammatory drugs (such as corticosteroids) have limited effect on this component. We now propose that distortion of a hypersensitive and chronically damaged epithelium by repeated bronchoconstriction is also capable of driving remodelling, possibly as an initial protective response. We found that the the early asthmatic response provoked by inhaled allergen (inflammatory stimulus) or methacholine (non-inflammatory stimulus) produced similar increases in airway remodelling. As predicted, only allergen triggered eosinophil influx into the airways in association with the inflammatory response of the late asthmatic response. Prevention of methacholine-induced bronchoconstriction by prior administration of the inhaled2-agonist (salbutamol) completely inhibited the indices of remodelling. This indicates that repeated narrowing of asthmatic airways per se provides a sufficient stimulus for inducing “mechanotransductive” airway remodelling. Mechanisms of the asthma exacerbation. A major cause of asthma morbidity and death is the exacerbation in which deterioration in disease control occurs over several days. Although allergen exposure is one cause of disease exacerbation, in real life this accounts for only a small proportion of events. On the basis of clinical anecdote many asthma exacerbations appeared to be precipitated by respiratory viral infections. To obtain concrete evidence for this, we first established novel PCR-based methods for the detection of common cold human rhinoviruses (RV). Viral detection was then applied to longitudinal cohort studies to reveal that detection of respiratory viruses in nasopharyngeal secretions was closely linked to asthma exacerbation and its seasonal variation both in children (>85%) and adults (>65%), with RV dominating. We were the first to establish causality by controlled nasal infection of asthmatics with RV16 precipitating clinical and physiological features of exacerbation driven by mixed eosinophilic and lymphocyte inflammation of the lower airways. A key question was why asthmatic airways are so susceptible to usually innocuous common cold viruses? Controlled nasal infection with RV16 to revealed preferential infection of the asthmatic lower airway epithelium. In order to determine if viral responses of the asthmatic epithelium differed from that of normals, epithelial cell cultures infected with RV16 were developed. While epithelial cells from normal subjects could effectively inhibit viral replication and eliminate remaining virus through activation of programmed cell death (apoptosis), those derived from asthmatic airways not only enabled the virus to survive, but also facilitated viral replication leading to cytotoxic cell death, inflammatory mediator release and enhanced virus shedding. We have shown that this asthma-related defect was due to impaired signalling by the microsomal danger recognition receptor, toll-like receptor 3 (TLR3), following interaction with viral double stranded RNA. The consequence of this was reduced (IFN)- mediated anti-viral defense. This defect in IFN production could in large part explained by enhanced epithelial production of TGF-β and represents yet a further consequence of EMTU activation in asthma. Of great significance was our finding that full anti-viral defense could be restored to the asthmatic epithelium by adding back a low concentration of IFNwhereas under natural conditions of virus infection, the defective local IFN induction was compensated by a large systemic innate TLR/IFN immune response and a weaker adaptive immune response. In order to translate these findings into the clinic we first showed that inhaled IFN-1a could activate the airway anti-viral pathways in asthma. We have now completed a successful Phase 2 clinical trial showing that inhaled recombinant human IFN-1a given at the start of a common cold in patients with severe asthma could fully restore protection against viral-related exacerbations as well as reduce viral shedding (http://www.synairgen.com/). Rethinking the cause and pathophysiology of asthma. These observations are leading to a fundamental re-evaluation of asthma pathogenesis. Rather than allergic inflammation being the prime abnormality, our work places the airway epithelium at the centre of disease pathogenesis by, serving as the orchestrator of inflammatory and remodelling responses over the lifecourse. The engagement of different causative molecular pathways leads to disease heterogeneity which is reflected in the variable response to therapeutics in accordance with the relative contribution of that pathway to the overall disease manifestation. This forms the basis for a more stratified or personalized approach to treatment which is especially important for the highly targeted new biologics. As an MRC Research Professor I oversee a large research team pursuing the mechanisms of asthma, identifying novel therapeutic targets and undertake experimental medicine and clinical trials in asthma. 3. Chairman, Merck International Respiratory Advisory Board, 1998-present. 4. Member of Council, Academy of Medical Sciences, 2010–present. Haitchi, H. M., Yoshisue, H., Powell, R. M., Bucchieri, F., Hanley, N. A., Wilson, D. I., ... Davies, D. E. (2006). Chronological expression of ciliated bronchial epithelim 1 in mouse and human pulmonary differentiation. Thorax, 61(Supplement 2), pp.ii45. Haitchi, H. M., Bucchieri, F., Powell, R. M., Hanley, N. A., Wilson, D. I., Holgate, S. T., & Davies, D. E. (2005). ADAM33 in embryonic lungs. Thorax, 60(Supplement 2), p.ii22. DeBilderling, G., Chauhan, A. J., Jeffs, J. A., Withers, N., Johnston, S. L., Holgate, S. T., & Clough, J. B. (2005). Gas cooking and smoking habits and the risk of childhood and adolescent wheeze. American Journal of Epidemiology, 162(6), 513-522. Stenfors, N., Nordenhall, C., Salvi, S. S., Mudway, I., Soderberg, M., Blomberg, A., ... Frew, A. J. T. (2004). Different airway inflammatory responses in asthmatic and healthy humans exposed to diesel. European Respiratory Journal, 23(1), 82-86. Mansur, A. H., Bishop, D. T., Holgate, S. T., Markham, A. F., & Morrison, J. F. J. (2004). Linkage/association study of a locus modulating total serum IgE on chromosome 14q13-24 in families with asthma. Thorax, 59(10), 876-882. Haitchi, H. M., & Holgate, S. T. (2004). New strategies in the treatment and prevention of allergic diseases. Expert Opinion on Investigational Drugs, 13(2), 107-124. Holgate, S. T. (2004). Pharmacogenetics: the new science of personalizing treatment. Current Opinion in Allergy and Clinical Immunology, 4(1), 37-38. Bousquet, J., Wenzel, S., Holgate, S., Lumry, W., Freeman, P., & Fox, H. (2004). Predicting response to omalizumab, an anti-IgE antibody, in patients with allergic asthma. Chest, 125(4), 1378-1386. Holgate, S. T. (2004). The epidemic of asthma and allergy. Journal of the Royal Society of Medicine, 97(3), 103-110. Holgate, S. T., Sandström, T., Frew, A. J., Stenfors, N., Nördenhall, C., Salvi, S., ... Söderberg, M. (2003). Health effects of acute exposure to air pollution. Part I: healthy and asthmatic subjects exposed to diesel exhaust. Health Effects Institute Research Report, (112), 1-30. Joos, G. F., O'Connor, B., Anderson, S. D., Chung, F., Cockcroft, D. W., Dahlen, B., ... Riedler, J. (2003). Indirect airway challenges. European Respiratory Journal, 21(6), 1050-1068. Leir, S-H., Holgate, S. T., & Lackie, P. M. (2003). Inflammatory cytokines can enhance CD44-mediated airway epithelial cell adhesion independently of CD44 expression. American Journal of Physiology: Lung Cellular and Molecular Physiology, 285(6), L1305-L1311. Babu, K. S., Woodcock, D. A., Smith, S. E., Staniforth, J. N., Holgate, S. T., & Conway, J. H. (2003). Inhaled synthetic surfactant abolishes the early allergen-induced response in asthma. European Respiratory Journal, 21(6), 1046-1049. Holgate, S. T., & Peters-Golden, M. (2003). Introduction: the anti-inflammatory role of cysteinyl leukotriene receptor antagonists in asthma. Journal of Allergy and Clinical Immunology, 111(Supplement 1), S1-S4. Kurukulaaratchy, R. J., Matthews, S., Holgate, S. T., & Arshad, S. H. (2003). Predicting persistent disease among children who wheeze during early life. European Respiratory Journal, 22(5), 767-771. Holgate, S. T., Peters-Golden, M., Panettieri, R. A., & Henderson, W. R. (2003). Roles of cysteinyl leukotrienes in airway inflammation, smooth muscle function, and remodeling. Journal of Allergy and Clinical Immunology, 111(Supplement 1), S18-S34. Papadopoulos, N. G., Stanciu, L. A., Papi, A., Holgate, S. T., & Johnston, S. L. (2002). A defective type 1 response to rhinovirus in atopic asthma. Thorax, 57(4), 328-332. Holgate, S. T. (2002). Adenosine provocation: a new test for allergic type airway inflammation. American Journal of Respiratory and Critical Care Medicine, 165(3), 317-318. Holgate, S. T. (2002). Airway inflammation and remodeling in asthma: current concepts. Molecular Biotechnology, 22(2), 179-189. Holgate, S. T. (2002). Asthma: more than an inflammatory disease. Current Opinion in Allergy and Clinical Immunology, 2(1), 27-29. Richter, A., O'Donnell, R. A., Powell, R. M., Sanders, M. W., Holgate, S. T., Djukanovic', R., & Davies, D. E. (2002). Autocrine ligands for the epidermal growth factor receptor mediate interleukin-8 release from bronchial epithelial cells in response to cigarette smoke. American Journal of Respiratory and Critical Care Medicine, 27(1), 85-90. Krishna, M. T., Hatzivlassiou, P., Salvi, S. S., & Holgate, S. T. (2002). Current and future asthma therapies. Practitioner, 246(1641), 820-825. Lordan, J. L., & Holgate, S. T. (2002). H1-antihistamines in asthma. 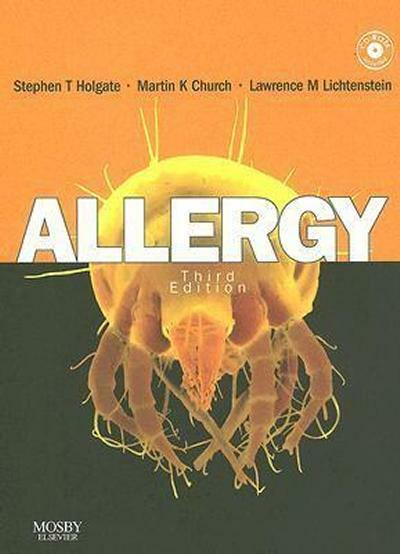 Clinical Allergy and Immunology, 17, 221-248. Dahlén, S-E., Malmstrom, K., Nizankowska, E., Dahlén, B., Kuna, P., Kowalski, M., ... Szczeklik, A. (2002). Improvement of aspirin-intolerant asthma by montelukast, a leukotriene antagonist. A randomized, double-blind, placebo-controlled trial. American Journal of Respiratory and Critical Care Medicine, 165(1), 9-14. Edwards, A., Stevens, M., Holgate, S., Iikura, Y., Åberg, N., König, P., ... Howell, J. (2002). Letter to the editor: Inhaled sodium cromoglycate in children with asthma. Thorax, 57(3), 282-282. Holgate, S. T., & Salvi, S. S. (2002). Mast cell tryptase as a proinflamatory mediator in late-phase asthmatic response. Current Allergy and Asthma Reports, 2(2), 105-106. Brightling, C. E., Bradding, P., Symon, F. A., Holgate, S. T., Wardlaw, A. J., & Pavord, I. D. (2002). Mast-cell infiltration of airway smooth muscle in asthma. New England Journal of Medicine, 346(22), 1699-1705. Babu, K. S., & Holgate, S. T. (2002). Newer therapies for asthma: a focus on anti-IgE. The Indian Journal of Chest Diseases & Allied Sciences, 44(2), 107-115. Babu, K. S., Woodcock, D., Smith, S. E., Heminsley, A. M., Little, L., Staniforth, J. N., ... Conway, J. H. (2002). Pumactant abolishes early asthmatic response in patients with allergic asthma. American Journal of Respiratory and Critical Care Medicine, 165(Supplement), p.A216. Rorke, S., Jennison, S., Jeffs, J. A., Sampson, A. P., Arshad, H., & Holgate, S. T. (2002). Role of cysteinyl leukotrienes in adenosine 5'-monophosphate induced bronchoconstriction in asthma. Thorax, 57(4), 323-327. Rorke, S., & Holgate, S. T. (2002). Targeting adenosine receptors: novel therapeutic targets in asthma and chronic obstructive pulmonary disease. American Journal of Respiratory Medicine, 1(2), 99-105. Howat, W. J., Holgate, S. T., & Lackie, P. M. (2002). TGF-? isoform release and activation during in vitro bronchial epithelial wound repair. American Journal of Physiology: Lung Cellular and Molecular Physiology, 282(1), L115-L123. Babu, K. S., & Holgate, S. T. (2002). The role of anti-IgE therapies in the treatment of asthma. Hospital Medicine, 63(8), 483-486. Hansel, T. T., Sterk, P. J., Holgate, S. T., & Barnes, P. J. (2002). The trials and tribulations of anti-IL-5 em leader. Journal of Allergy and Clinical Immunology, 109(3), 575-576. Zhang, J., Yu, C., Holgate, S. T., & Reiss, T. F. (2002). Variability and lack of predictive ability of asthma end-points in clinical trials. European Respiratory Journal, 20(5), 1102-1109. Salvi, S. S., & Holgate, S. (2001). Anti-IgE antibody for the treatment of allergic asthma. Current Allergy and Asthma Reports, 1(2), 100-101. Howat, W. J., Holmes, J. A., Holgate, S. T., & Lackie, P. M. (2001). Basement membrane pores in human bronchial epithelium: a conduit for infiltrating cells? The American Journal of Pathology, 158(2), 673-680. Salvi, S. S., Babu, K. S., & Holgate, S. T. (2001). Is asthma really due to a polarized T cell response toward a helper T cell type 2 phenotype? American Journal of Respiratory and Critical Care Medicine, 164(8), 1343-1346. Edwards, A., Holgate, S., Howell, J., Warner, J., Stevens, M., Åberg, N., ... Weinberg, E. (2001). Letter to the editor: Sodium cromoglycate in childhood asthma. Thorax, 56(4), 331-332. Seymour, M. L., Rak, S., Aberg, D., Riise, G., Penrose, J. F., Kanaoka, Y., ... Sampson, A. P. (2001). Leukotriene and prostanoid pathway enzymes in bronchial biopsies of seasonal allergic asthmatics. American Journal of Respiratory and Critical Care Medicine, 164(11), 2051-2056. Salvi, S. S., & Holgate, S. (2001). Long-term effects of inhaled corticosteroids in asthmatic children. Current Allergy and Asthma Reports, 1(2), 99. Holgate, S. (2001). Mechanisms of allergy and adult asthma. Current Opinion in Allergy and Clinical Immunology, 1(1), 47-50. Salvi, S. S., Krishna, M. T., Sampson, A. P., & Holgate, S. T. (2001). The anti-inflammatory effects of leukotriene-modifying drugs and their use in asthma. Chest, 119(5), 1533-1546. Hamilton, L. M., Davies, D. E., Wilson, S. J., Kimber, I., Dearman, R. J., & Holgate, S. T. (2001). The bronchial epithelium in asthma--much more than a passive barrier. Monaldi Archives for Chest Disease, 56(1), 48-54. Anderson, D. F., Zhang, S., Bradding, P., McGill, J. I., Holgate, S. T., & Roche, W. R. (2001). The relative contribution of mast cell subsets to conjunctival TH2-like cytokines. Investigative Ophthalmology & Visual Science, 42(5), 995-1001. Holgate, S. T. (2001). Therapeutic options for persistent asthma. Journal of the American Medical Association, 285(20), 2637-2639. Thomas, N. S., Wilkinson, J., Lio, P., Doull, I., Morton, N. E., & Holgate, S. T. (2000). [Genetic factors involved in asthma and atopy. Studies in British families]. Revue des Maladies Respiratoires, 17(1 Pt 2), 177-182. Vrugt, B., Wilson, S., Bron, A., Holgate, S. T., Djukanovic, R., & Aalbers, R. (2000). Bronchial angiogenesis in severe glucocorticoid-dependent asthma. European Respiratory Journal, 15(6), 1014-1021. Holgate, S. T. (2000). 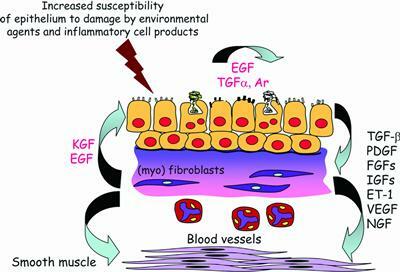 Epithelial damage and response. Clinical & Experimental Allergy, 30(supplement 1), 37-41. Fleming, J. S., Sauret, V., Conway, J. H., Holgate, S. T., Bailey, A. G., & Martonen, T. B. (2000). Evaluation of the accuracy and precision of lung aerosol deposition measurements from single-photon emission computed tomography using simulation. Journal of Aerosol Medicine, 13(3), 187-198. Thomas, N. S., Wilkinson, J., Lonjou, C., Morton, N. E., & Holgate, S. T. (2000). Linkage analysis of markers on chromosome 11q13 with asthma and atopy in a United Kingdom population. American Journal of Respiratory and Critical Care Medicine, 162(4), 1268-1272. Vrugt, B., Wilson, S. J., Bron, A., Shute, J., Holgate, S. T., Djukanovic, R., & Aalbers, R. (2000). Low-dose methotrexate treatment in severe glucocorticoid-dependent asthma: effect on mucosal inflammation and in vitro sensitivity to glucocorticoids of mitogen-induced T-cell proliferation. European Respiratory Journal, 15(3), 478-485. Bardin, P. G., Fraenkel, D. J. G., VanSchalkwyk, E. M., Holgate, S. T., & Johnston, S. L. (2000). Peak expiratory flow changes during experimental rhinovirus infection. European Respiratory Journal, 16(5), 980-985. Linaker, C. H., Coggon, D., Holgate, S. T., Clough, J., Josephs, L., Chauhan, A. J., & Inskip, H. M. (2000). Personal exposure to nitrogen dioxide and risk of airflow obstruction in asthmatic children with upper respiratory infection. Thorax, 55(11), 930-933. Linaker, C. H., Chauhan, A. J., Inskip, H. M., Holgate, S. T., & Coggon, D. (2000). Personal exposures of children to nitrogen dioxide relative to concentrations in outdoor air. Occupational & Environmental Medicine, 57(7), 472-476. Babu, K. S., & Holgate, S. T. (2000). Potential and novel therapies for asthma. The Journal of the Association of Physicians of India, 48(11), 1096-1102. Holgate, S. T. (2000). The role of mast cells and basophils in inflammation. Clinical & Experimental Allergy, 30(supplement 1), 28-32. Wilson, S. J., Leone, B. A., Anderson, D., Manning, A., & Holgate, S. T. (1999). Immunohistochemical analysis of the activation of NF-kappaB and expression of associated cytokines and adhesion molecules in human models of allergic inflammation. The Journal of Pathology, 189(2), 265-272. Vrugt, B., Wilson, S. J., Underwood, J., Bron, A., de Bruyn, R., Bradding, P., ... Aalbers, R. (1999). Mucosal inflammation in severe glucocorticoid-dependent asthma. European Respiratory Journal, 13(6), 1245-1252. Wilson, S., Holgate, S., & Synek, M. (1995). The application of modern technology to the study of asthma. Revista Brasileira de Alergia e Imunopatologia, 6-12. Josephs, L. K., Gregg, I., Mullee, M. A., Campbell, M. J., & Holgate, S. T. (1992). A longitudinal study of baseline FEV1 and bronchial responsiveness in patients with asthma. European Respiratory Journal, 5(1), 32-39. Josephs, L. K., Gregg, I., & Holgate, S. T. (1990). Does nonspecific bronchial responsiveness indicate the severity of asthma? European Respiratory Journal, 3(2), 220-227. Wandel, M., Davies, E. R., Kelly, J. F. C., Holgate, S. T., Whitsett, J. A., Davies, D. E., & Haitchi, H. M. (2018). ADAM33 is involved in post-natal airway hyperresponsiveness caused by maternal allergic airway inflammation. 132 PA1307. Poster session presented at European Respiratory Society (ERS) International Congress 2018, Paris, France. Wandel, M., Davies, E. R., Kelly, J. F. C., Holgate, S. T., Whitsett, J. A., Davies, D. E., & Haitchi, H. M. (2018). Adam33 null mice do not exhibit post-natal airway hyperresponsiveness as a consequence of maternal allergy. 57 104. Abstract from 32nd Symposium of the Collegium Internationale Allergologium 2018, Mallorca, Spain. Davies, E. R., Kelly, J. F. C., Holgate, S. T., Whitsett, J. A., Davies, D. E., & Haitchi, H. M. (2018). IL-13 mediated neutrophilic airway inflammation and hyperresponsiveness is corticosteroid-resistant. 22-15. Abstract from 32nd Symposium of the Collegium Internationale Allergologium 2018, Mallorca, Spain. Holgate, S. T., Devlin, R. B., Wilson, S. J., & Frew, A. J. (2003). Health effects of acute exposure to air pollution. Part II: Healthy subjects exposed to concentrated ambient particles. (Research Reports Health Effects Institute; No. 112). Boston, US: Health Effect Institute. Teaching is restricted to postgraduate activities both in the UK and overseas. This takes the form of keynote lectures, plenary lectures and talks on specialist areas of asthma allergic diseases, pollution and translational medicine including participation in postgraduate courses. Educational activities also extend to editorships of major texts in asthma, allergy and respiratory medicine. 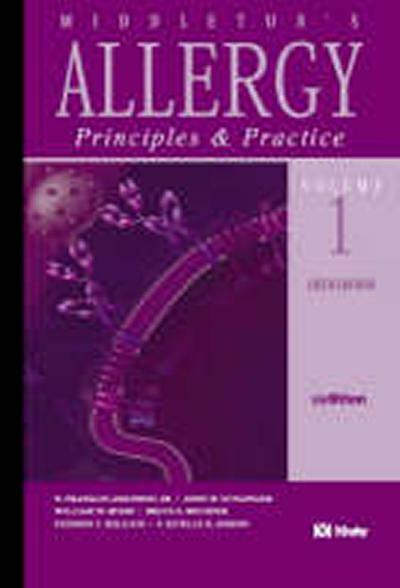 Examples include “Allergy” (4 editions) and “Middleton’s Allergy:Principles and Practice” (4 editions) (see below). Editor of Clinical and Experimental Allergy (25 years to 2009) and current Associate Editor, Clinical Science.